Mini dynamo torch on key ring. 2 ultra bright LED bulbs with extremely efficient winding action. Wind handle in clockwise direction for 2 minutes to charge. 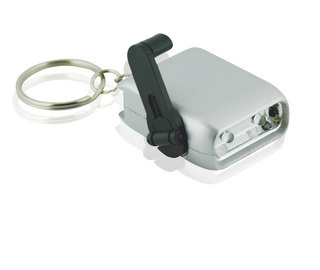 The mini LED torch will provide light up to approximately 10 minutes. Boxed.